How is there not one single mention of wheel size in the copy? I'm blown away that some manufacturers don't clearly call that out in a bike's description as this is typically the starting point for a customer's bike decision. Lots of times I'll have to look through an entire parts spec to find wheel size. Cripes!! All of this NW Arkansas tourism marketing is working on me. I live within two hours of some of the world's best riding, and I'm seriously considering a trip here in the future! The trails look insanely fun and unique. Good on ya NWA! 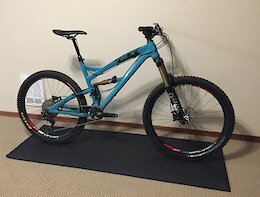 2019 Rockshox Reverb stealth, 170mm drop, 31.6 diameter, 1x remote (left hand). This was a takeoff from my large 2019 Transition Sentinel. 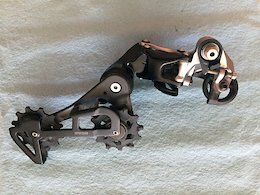 Only ridden a handful of times, but was bled after shortening the hose which is 51” long and should be plenty long for most bikes. The post is in perfect condition without any scratches or any other damage. 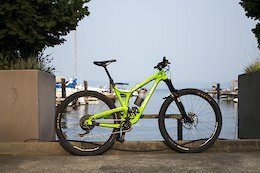 @trjoedave: By definition, bikes are not an investment. Riding is much more fun once you accept that! Wait.. it's 2019, is it really 'Must Watch' content if there's no roosting and not one schralped corner?! But really, the dude rips and has insanely stylish whips. 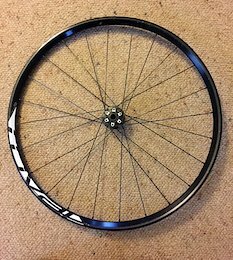 Rim: 29" diameter, 29mm inner width Hubs: Stans Neo Durasync, boost spacing, XD driver. Takeoff wheel set from my new bike. They only have a half dozen shakedown rides and are in mint condition. Very minor blemishes are shown in photos. The front wheel decals have a wrinkle from some trail debris and the chain over-shifted once and scraped the drive-side spokes slightly. No dents or real scratches to speak of. Both rims are perfectly true and tensioned. Wheels are taped and include tubeless valves. Let me know if you have questions! Yawwwwn... this week's 50to01 video was more creative, new and entertaining. Half of this edit was silly non-bike specific filler punctuated by slo-mo spinning... COULD IT GET MORE DRAMATIC?? It's biking, let's not take ourselves too seriously.